Date: First published in 1656. Banner of Truth published from the 1862 5th Abridged Addition in 1972. Reprinted in 2007. 17th Century pastor, Richard Baxter, expounds upon Acts 20:28 imploring his fellow ministers to take heed of themselves and of the flock in which they’ve been entrusted by God to shepherd faithfully. Pastoral ministry is for the glory of God and the good of humanity and should be taken seriously by ministers and congregants alike. 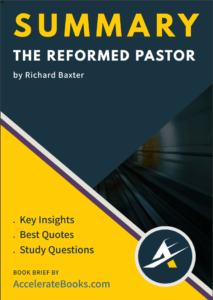 Baxter sets the duties of pastors, the motivations for these duties, encouragement to repent in areas of neglect, and sincere hope that those who read his words will seek to follow his exhortations. The task at hand is too important to do otherwise. Richard Baxter was a 17th century nonconformist pastor in Kidderminster, England. He was born November 12, 1615 and died in 1691. Therefore, he lived right in the midst of the great Puritan era of England and sought to practice Puritan piety personally as well as have local churches under his care do likewise. Baxter was not perfect in his theology, and there are serious concerns about his understanding of justification (he saw believers as being able to “merit righteousness”). However, J.I. Packer notes in the introduction that “As a pastor, Baxter was incomparable” (p. 11). This is not to minimize his theology, but it is to recognize that in his practice of pastoral ministry, there is very much to learn from him 400 years later. Baxter relentlessly catechized the people of Kidderminster during his tenure as pastor and saw much fruit for his labors. There were 800 homes under his charge and he relentlessly visited them to check on the spiritual welfare of his people and to ask intentional and pointed questions about their walk with the Lord. Baxter was not a “Calvinist” and his title “Reformed Pastor” does not mean theologically reformed, but “renewed in practice” (p. 14). He wrote “All churches either rise or fall as the ministry doth rise or fall (not in riches or worldly grandeur) but in knowledge, zeal and ability for their work” (p. 14). 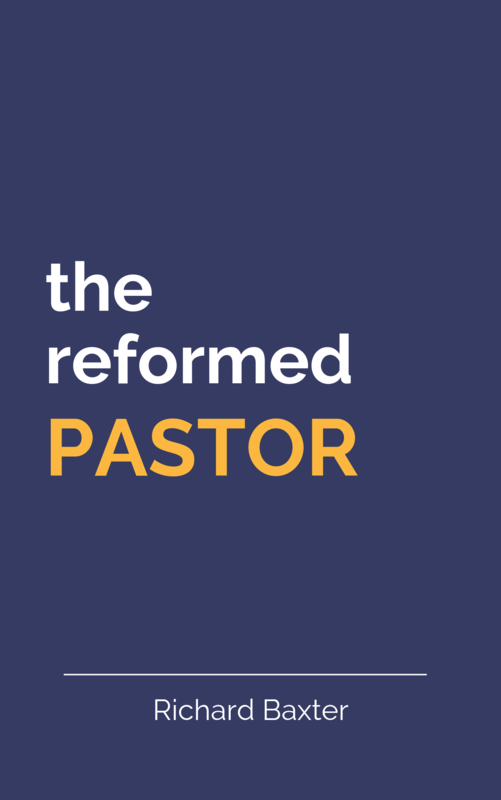 Throughout the centuries many pastors have been deeply influenced by The Reformed Pastor as it has been considered a classic almost from the moment it was composed. Baxter’s legacy for pastoral ministry has continued over the years and will continue through the 21st century and beyond. Date First published in 1656. Banner of Truth published from the 1862 5th Abridged Addition in 1972. Reprinted in 2007.